Gone are the days when companies had to rely on job schedulers which require more time and manual intervention. Today, various applications, databases, platforms and applications can be easily automated through Workload Automation. With this software, job scheduling and other repetitive tasks can now be finished in a snap. Workload Automation saves time and reduces costs as it makes tasks faster which gives more efficient results. While some companies are hesitant to purchase Workload Automation software because of limited budgets, many businesses still find it a great option because of its amazing benefits. In fact, here are four reasons to use Workload Automation to boost a company’s performance. As technology advances, people have gotten used to having things instantly. From shopping, watching movies, to surfing the web, they want everything to be fast and convenient. Faster business transactions can increase customer satisfaction so it is truly essential for businesses to Workload Automation. Regardless of the business type or nature, Workload Automation can help eliminate delays and other time-related conflicts. Business processes will keep running since the software will manage the tasks fast and efficiently. When unnecessary manual labor is replaced by Workload Automation, companies will reduce costs that come from hiring workers to do repetitive and complicated tasks which can be done by the software in the blink of an eye. High availability is another major advantage of Workload Automation. This means that work can continue unencumbered even if one workload console node collapses or fails because the system has been overloaded by too many tasks. Workload Automation prevents your system from being extremely vulnerable to just a single case or point of failure. In such an event, the Workload Automation will still deliver the job schedules, perform the processes, and run operations on schedule, granting the requests given it—without breaking down. As the industry becomes fast-paced and technology improves, things become more complicated. More solutions and devices are invented and new systems are adopted by IT companies and other organizations. Significantly, all processes are becoming interconnected and if all of them are done manually, the margin for human errors can increase. If Workload Automation is used, on the one hand, things will be smooth-sailing and complex operations can be simplified. Business trends and conditions change every now and then; thus companies need a tool that will be useful for a long span of time and will help them get ahead of the competition. Automation has long been used in the IT industry but now, it can also be used in other industries and businesses. Workload Automation is not only helpful to IT professionals but also to other employees of various departments. In fact, it can be used by airlines to improve business efficiency and boost performance. The airline industry also has Big Data that needs to be managed well through automation; examples are flight plans, passenger and crew lists, baggage lists, ticket information, and airplane equipment specs, among others. Automated reporting can lessen the time for obtaining and creating reports, and help airline executives make sound decisions quickly and respond to emergencies and other important incidents. A lot of companies, regardless of their size and nature, have gained competitive advantage through Workload Automation. One of them is Societe Generale which gained more customers and increased customer satisfaction. Workload Automation also helped Huk-Cuborg, an insurer, launch new services to 10 million customers. Moreover, the software helped Florida Blue, a health care provider, cut batch failure rate by 50%. Hong Kong Air Cargo Terminals Limited (HACTL), was able to move 3.5 MM tons of air cargo annually also through Workload Automation. 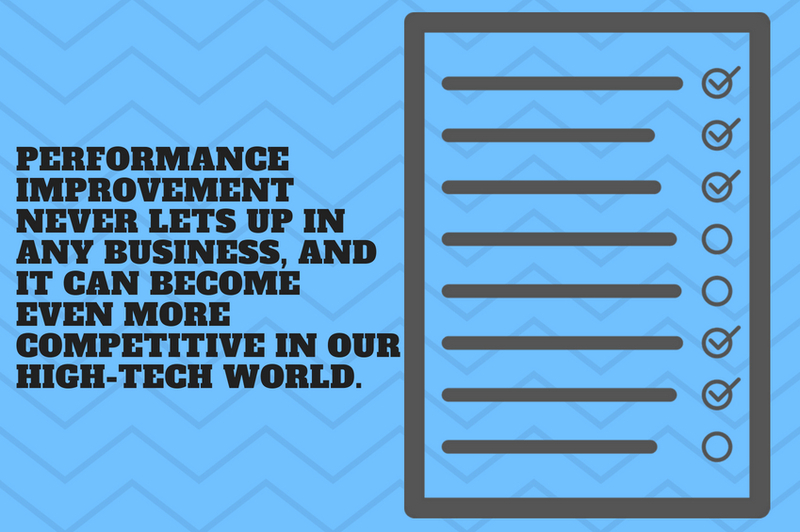 Performance improvement never lets up in any business, and it can become even more competitive in our high-tech world. Workload Automation can increase it significantly to make your company produce more results and get ahead of the competition.